Volkswagen dealers across the country are holding launch events for the Golf Mk7, which went on sale this week. Dealers are inviting Golf fans and potential customers to visit their showrooms and find out all about the latest generation car, take a test drive in the new car and benefit from some launch offers. The new Golf officially went on sale on 7 January, and over the course this weekend (11-13 January), Retailers across the country will be holding a number of special launch and test drive events. 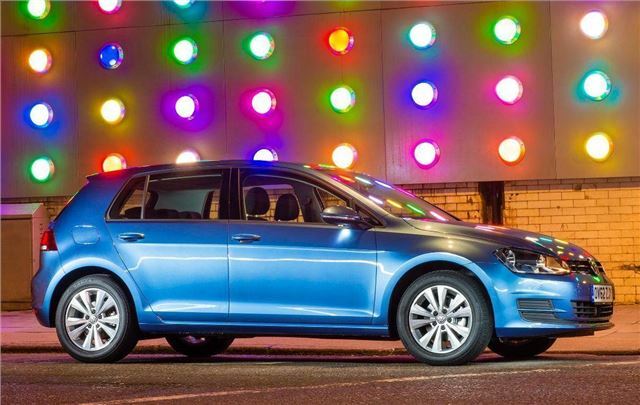 Prices for the Golf start at £16,285 (RRP OTR) and all models benefit from Volkswagen's PCP Solutions package. A Golf S 1.2-litre TSI 105 PS three-door for £189 per month over three years and 30,000 miles. Customers who order a Golf on Solutions during the Weekend will receive free servicing for three years or 30,000 miles. After the weekend and until the end of March customers will be able to purchase a three-year fixed price service plan for £329.